It might be Summer but the ocean’s water temperature is still chilly a lot of the time, especially for little bodies. 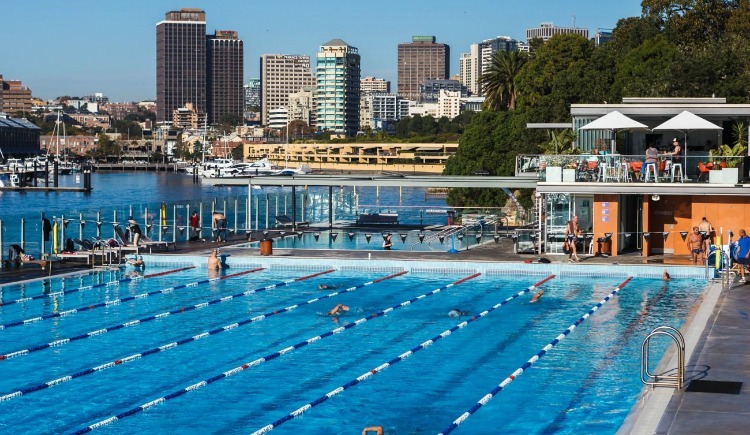 Never fear, Sydney has a fantastic choice of heated outdoor pools so you and the kids can continue swimming under the blue skies without the goose-bumps! We’ve rounded up the best outdoor heated pools in Sydney for families. At this awesome venue you’ll find 2 outdoor heated pools- a 50m salt water eight lane pool for adults and older children and and shaded pool for leaner swimmers. There’s a fantastic cafe called poolside where you can eat on the deck overlooking the pools, breathtaking harbour views and a fantastic learn to swim program. Season starts Saturday 1 September 2018 to Tuesday 30 April 2019. Behind the University of Sydney in a tranquil 9-hectare park, you’ll find the 50-metre outdoor Victoria Park Pool alongside its toddler splash pool with beach entry and water features, both beautifully heated to a minimum of 25 degrees year-round. There’s also an onsite gym, a popular café and limited free 2 hour parking in its car park (City Road access). They also offer an onsite crèche for children from 8 weeks to 5 years, available for 1 or 2 hours at $4.20 per hour (Tues/Thurs/Fri). In the heart of Surry Hills, a short walk from Central Station, you’ll find Prince Alfred Pool surrounded by landscaped gardens and plenty of seating. It offers Sydney’s first accessible heated outdoor pool with a ramp into the water, a splash deck with water toys for toddlers and a popular cafe. Arguably the most spectacular views from any Sydney pool, take a dip in the balmy North Sydney Olympic Pool and enjoy amazing views over Luna Park, the Opera House and the Harbour Bridge. As well as the pool, there is an onsite Lane 9 Gym and an onsite crèche Mondays, Wednesdays and Friday mornings (9am-12pm); $5.20 per hour – bookings essential. After 10am, pool and gym users can claim up to two hours free parking per day through the Park & Swim scheme. It’s an inviting 27-degree water temperature at the outdoor Olympic-sized Leichhardt Park Aquatic Centre. As well as the 7-lane outdoor pool, you’ll find two children’s pools, an onsite gym and crèche (open Mon-Fri 9am-1pm & Sat 8.30am-11.30am, $5.80 per child per hour). Sadly this one closed after 55 years in operation BUT good news is that it's being redeveloped and we're told to expect a new outdoor pool with a movable floor that can change its depth up to 2.1m, a new sauna, steam and spa attached to the existing pool hall building, new grassed areas and more. The new and improved pool is set to open in 2020. Find out more here. Under a canopy of gum trees, Caringbah Leisure Centre is an all-year-round family destination. As well as a 50-metre heated outdoor pool, it offers a toddler pool, a car park, a crèche (open Mon-Fri 8.30am-12midday) and onsite café. 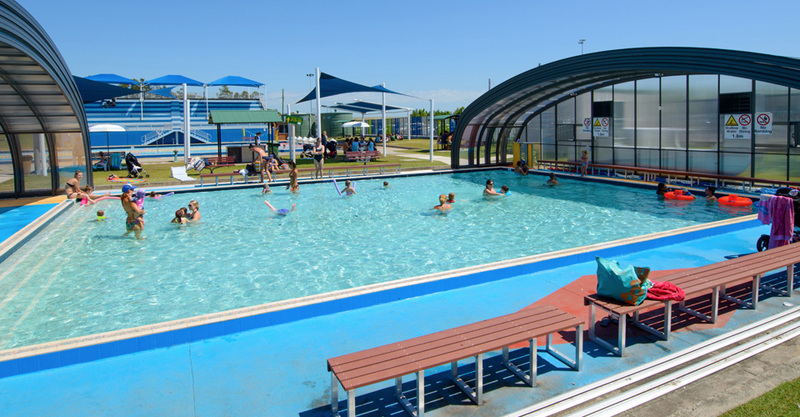 Des Renford Leisure Centre offers a beautifully heated (to 32 degrees) outdoor kids’ pool with retractable walls & roof, which means you can use it all year round no matter the weather. This is in addition to its 25m indoor competition pool and 25m indoor program pool, onsite creche, state-of-the-art gym and fitness classes and onsite cafe. These pools are popular for lap swimming especially before work, after work and at weekends. Be sure to check individual pool websites for details of when and how many lanes are closed for lap swimming. Add Dence Park pool at Epping ... gorgeous bushland setting . Also add Epping Pool at Dence park, it's faced closure when Hornsby Council owned it but now seems to have anew lease of life under Parramatta Council. Beautiful bushland setting.